Scott Frankenberger makes functional and decorative porcelain pottery. He holds an M.A. degree from Purdue University. His ceramics are interesting forms with richly embellished surfaces that are a pleasure to use, and an equal pleasure to view when not in use. Scott’s work appears in special projects from Indiana to California, and is represented by numerous galleries across the United States. 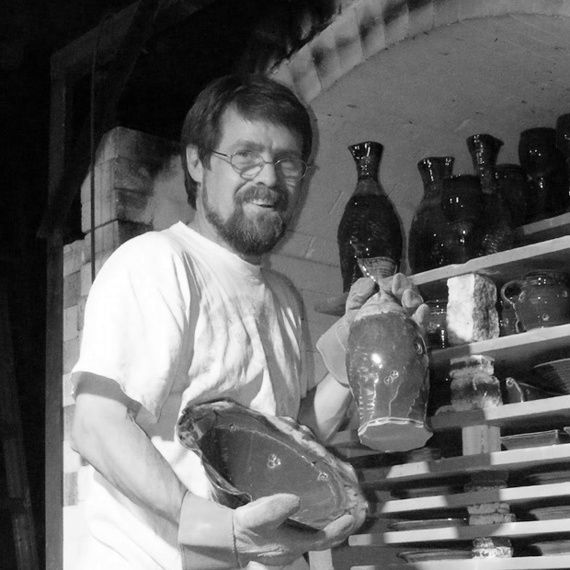 He has run Crossroad Pottery since 1976.